Samsung has been in the Internet of Things market for some time now, with smart devices and a line of automation products aptly named SmartThings. Now the company is unveiling the latest in its line during a show in Kuala Lumpur, Malaysia. The event, known as "Samsung Southeast Asia Forum 2016", was used to unveil all sorts of products for the new year, including TVs, refrigerators, washing machines, even new watch faces for the Gear S2. The hardware maker unveiled its 2016 SUHD TV with a curved screen which Samsung claims is designed to work well in all different light conditions. This is a smart TV running the Samsung Tizen operating system and is designed to allow customers "to discover and access all their favorite content and services, from TV and movies to games and program information, all in one place with the New Smart Hub, Smart Control remote and Smart View mobile application". Also unveiled is a new smart Blu-ray player, the UBD-K8500, which Samsung claims will offer four times the resolution and 64 times detailed color display of other Blu-ray players. There's also the Samsung AddWash washing machine and the Family Hub refrigerator, which can apparently provide all sorts of information including to-do lists and even entertainment. 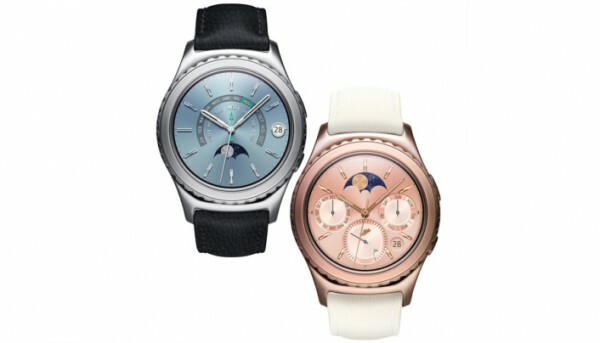 Finally, there's two new watchfaces for the Gear S2 smartwatch. They are classified as "rose gold" and "platinum", but they really boil down to shades of blue and pink. The show runs from now through February 3rd so there may still be other items on the way.